Take a seat, dear reader. 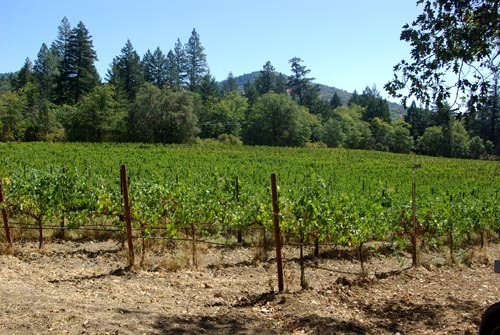 We are off on a trip to Frey Vineyards, America’s first organic winery. I’d long told myself that a blogger living in wine country really ought to be posting now and again about vineyards and wineries. Right? 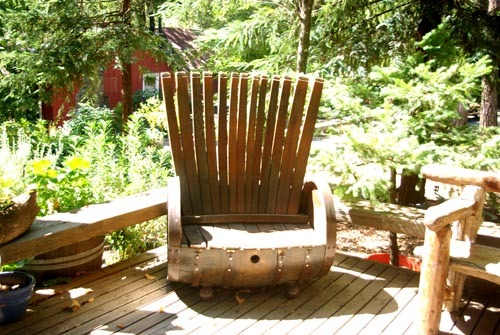 So today is the day I’m inviting you to join me at a beautiful local winery. See? Vineyards. However, as much as I appreciate the beauty of the many vineyards among which I live, true to my independent spirit it was actually the straw bale gardens that motivated this trip! Yes, indeed. 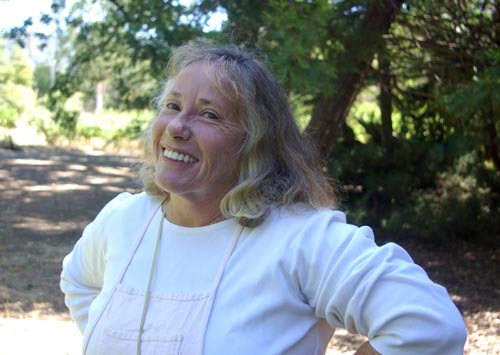 And here is our travel guide, Marie, resident landscape gardener at Frey Vineyards, and a bright and shining and generous spirit. Lucky us. 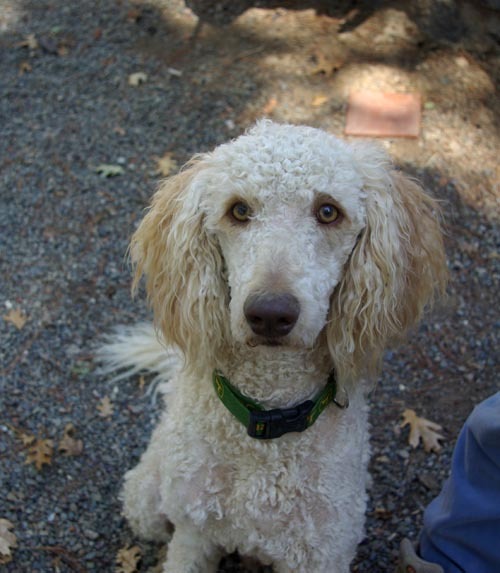 Adding to the fun is Puppy the poodle, one of the many dogs who live at Frey Vineyards, and who happily joins us in the adventure. So here’s the skinny. It so happened that we attended a very large picnic which took place at Frey Vineyards over Labor Day, and I was totally enchanted with a number of things, particularly the straw bale gardens created by Marie. So I called and Katrina Frey kindly invited me to come out and gather information about this incredible way of gardening, which I fully intend to implement instead of the traditional raised beds I had been anticipating this winter. Hallelujah! So easy! You start here. Are you already getting the idea? I knew you would! Marie suggests that you put two bales side by side and pile two on top of each. Of course this is ideal from so many standpoints! One doesn’t have to stoop as much, so much easier on the back and knees. One need not really dig. The bunnies are less inclined to munch. The dogs won’t you know what in it. The list goes on. I think it’s fantastic! So here’s what you do. You punch a hole in it. And you stick some dirt in the hole. And then you put your seed or starter plant in the hole. Water. Done! Here’s Marie showing me how to make a hole with her gardening tool. And here’s what you get! Is that not incredible?? And here’s a broader view of the beds, so you really get this technique. Now as if I needed even a teensy bit more convincing, this was the best part for me: the natural composting that occurs, as straw, miraculously, turns into this! Is this not the richest soil you’ve seen outside of your compost bins? With none of the work! Stunning! So, after a couple of years these straw bales break down into that delicious treasure in Marie’s hand, and you can use that as a basis for your expanding beds, or start over. What was truly amazing to me was when Marie told me that a local Waldorf school teacher built a vegetable garden on asphalt with her second graders using straw bales! Can you think of the possibilities? Or you could put them on a sturdy roof! Or you could suggest a straw bale garden at a local nursing home. Perhaps you have an aging family member who loved gardening and this would be the door. Or maybe someone (you?) 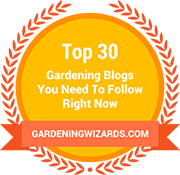 were longing for a garden but you only have a driveway? I mean, really. This could fly. Not quite ready to leave Frey Vineyards in spite of learning what I’d come to learn, I asked if we might go see their beehives, as I knew they had an unusual hive from Germany that some beekeepers were ooing and awwing over on Labor Day, and about which I’d read. Marie was graciously happy to oblige. Here’s what that looked like. I was careful to not stand anywhere near the front, blocking bees from their intentional comings and goings. 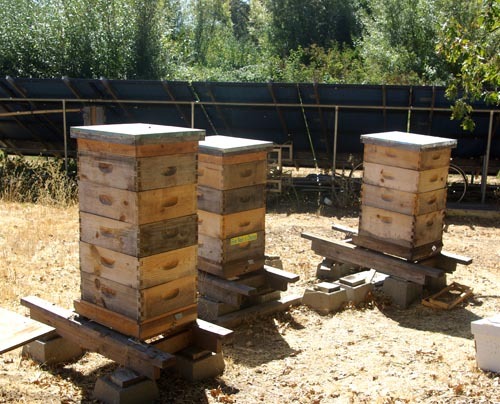 And here are some of the other more traditional hives, a short distance away. Marie kindly explained to me that they are raised up to the exact height that would put, oh, say, a raccoon’s face right in line with the front door (and flight path) of the bees. This would not be good for the raccoon, but handy for the bees. She says the dogs (and there are many on the property) never go near the hives. Good to know. Ironically, as I was bidding farewell, Marie brought to my attention that, given that it’s harvest season, the winery workers are bottling today. Perhaps another day? 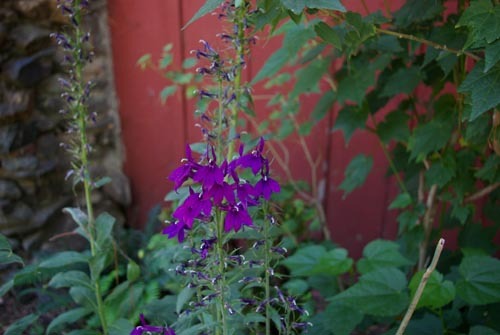 Instead I turn my attention to the beauty of a very large perennial lobelia displaying her flowers in her final days. Today I’ll go with her. I am grateful for a lovely day. 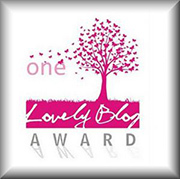 Lovely post and pics! I do Love the straw gardens! What a fantastic idea, and suggestion! Cool concept, thanks for sharing this Kathryn. Beautiful photos too! 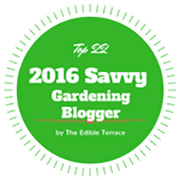 Thank you for such a lovely, succinct, and picturesque blog on the STRAW BALE gardens at the Frey Winery! I only wish to add that the basic design of 2 wide X 2 high can be configured to any length or shape. That is just the basic configuration I’ve found to require the easiest handling/harvesting. Several of the beds you featured in the above photos are 3 or 4 bales long. 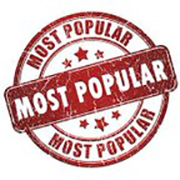 Beds can be designed to accommodate any situation and requirement—2 high X 2 wide X any length. 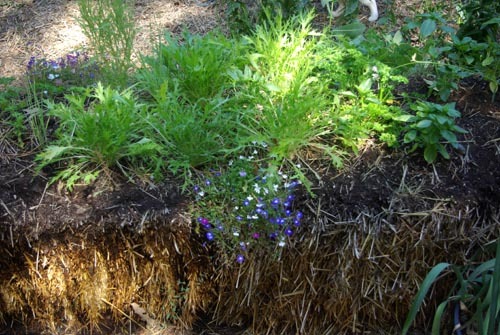 Straw bale gardens lend themselves to urban gardening, gardening for the elderly or disabled, erosion control, and an alternative to the high cost and resource consumption of traditional raised beds. Imagine the carbon footprint reductions (all that straw no longer being burned!) 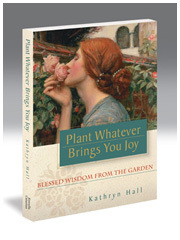 Imagine the weekend gardeners no longer facing cultivation and weeding! Did you mention all the plants grown in the straw bale gardens at the Frey Vineyards are edible and/or bee and butterfly habitat? My pleasure meeting you. I look forward to our next visit and garden adventure. I believe that the highlighted quote from Marie is the essence of gardening. Person understanding that soil is the center, will be able to grow organically anything. This ability comes from understaning of life cycle in Nature. 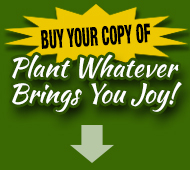 Straw bale gardening – great idea – thanks for sharing. I love it! For years, folks have been complaining about the use of straw bales for sediment & erosion control. Unsightly and weeds grow from them, but if you deliberately planted them… Years ago, when I was cropping my whole back yard, I found that I could not grow potatoes and onions to any size in my Ohio glacial clay so I got straw bales from my sister Jill who lives in the country and spread straw about 1 ft. thick over part of the garden. I put my seed potatoes and onion sets on top of the ground and under the straw and watered carefully. Grew great potatoes and onions and the straw built up the soil. This idea is even better. Like growing horseradish in holes in a barrel and then harvesting by dumping out the barrel. Any root vegetable that is challenged by complacted soil should do wonderfully. You can just tear down the straw bale to harvest! 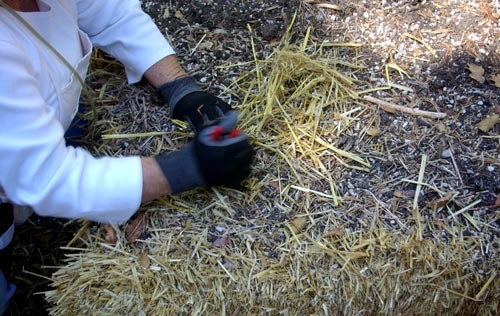 I have always wanted to try the straw bales when planting some perennials. I wish I had the room to give it a shot. I enjoyed the tour very much! I have to admit my heart starting beating faster when I saw the plants growing right in the bale itself. Then my eyes opened wide and my jaw dropped when i saw that soil! I so agree that good soil is everything, and I am very excited about trying this. We have a small area for growing vegetables, and i can see us tending the bales issuing plants from a garden chair, or sitting on the bale, not straining our back and knees on the ground. i just love this idea. I had thought about raised containers with a lip to sit on, but this has much more going for it: the lesser cost, the impermanence which is a good thing if we want to do something different in the future, and the planter works with nature! It will be fun to purchase the bale as a day trip to the country where they sell straw bales. What a wonderful post, Kathryn. Thank you for showing us new ways to grow things. The thoughts of my next seasons vegetable garden is invigorated! what an interesting post. I just have to try this straw bale technic, there is just one thing I’m a bit puzzled about and that is if the slug will love it too. You must have had a lovely day at Freys it looks great. Hi Kathryn – what a GREAT idea! All those plants at a sensible height for working on AND that fantastic soil at the end of it too. A double whammy! 🙂 Looks like you had a wonderful time at the Vineyard. Seeing those vines reminded me of when I helped take a school activity trip to France. The instructors told the kids that the vines were especially planted in rows to allow for Llama racing! They told them that the sandy ground was the training runs and the Llamas built up to run on the stoney ground. The Llamas had rings through their noses, the jockeys had long pointed sticks and when they got to the end of a row, the jockeys shoved the poles down through the nose rings and swivelled the Llamas round and down the next row. The kids TOTALLY believed them! …….. and the reason we never saw any Llamas? Llama racing is illegal in France and they only race at night!!! O holy cow! Now you’ve gone and done it! We up here in the mountains are just starting to think about putting our beds to bed before winter! And now all I can think about are all the possibilities next Spring for straw bales! Thanks for such a wonderful post. BTW, do you have any idea how they might hold up under snow? I really like this idea. To be honest, i’m not even sure if we do that much straw here (Florida isn’t exactly the bread basket of America), but now I have the motivation to find out and share this with people here. 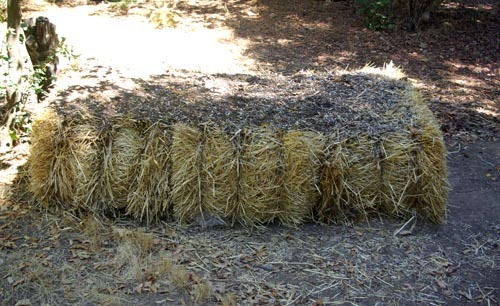 I have long used straw bales in my garden near Shasta Lake where the soil is red clay. What a wonderful experience when in nine years I turned a muddy red clay into wonderful soil. I buy the straw at a feed store which is a common outlet in areas where people raise animals or have pets. 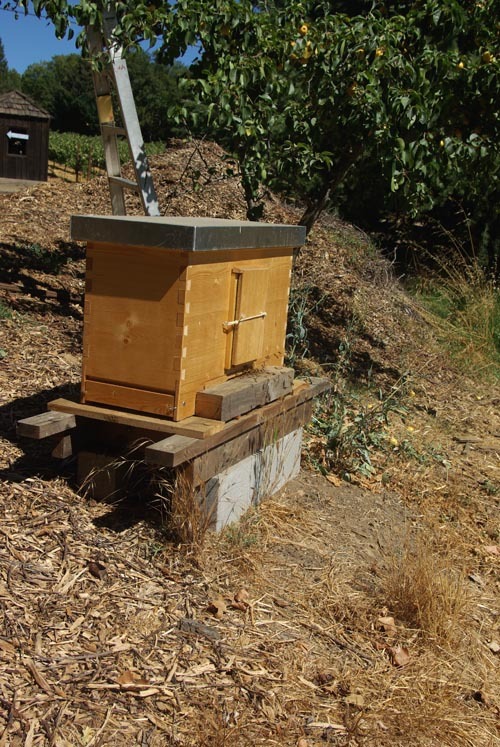 I also must comment on the “traditional” bee hives which brought back a flood of memories – when I lived in Cottonwood in Shasta County, California, my best friend and I used to play in the boxes (hives) which were stacked in the yard of the bee shippers who had headquarters there. At the time they were one of the biggest shippers in the United States. We played hide and seek for hours upon end in those empty boxes. That was about 60 years ago. I’ve never heard about straw bale gardening! I absolutely love it! Thank you so much for educating me! I think my boys would love it, too! I will dream about that black soil! I’m not sure what kind of farmers burn off straw but having grown up on a farm, I’ve never heard of that. Straw is used as bedding for animals and cleaned out of the barn regularly to the manure pile. It is then spread on the fields with a manure wagon as fertilizer. Note to Jane: that’s how it used to be done, but very few farmers do that, anymore… that is, bed down a few animals on straw, scrape up the manure-laden straw, and spread it on their fields. Only very small scale and organic farmers do this. Much straw is burned on fields unless there is an economic reason to windrow and bale it. Conventional chemical fertilizers have the effect of increasing straw length, making for more straw than many farmers want or need to leave as ‘trash’ on fields to catch snow for next year’s moisture (in colder areas) or reduce wind and water erosion. Although some companies have started up to convert agricultural straw into products like fibreboard for building construction, which would ultimately reduce use of wood, various problems have led to bankruptcy for some. So they burn it. Partly because of this desire to eliminate excess straw, many of the newer wheats and other grains have been bred to have shorter stems. In spite of all of this, cereal straw is still being baled and sold for the livestock and pet industries, and if you are near farming country, it’s very cheap, because farmers are basically selling it to get rid of it. Depending on where you live, the best idea is to find a farmer who will not only sell, but deliver, your bales to you every fall (or spring). It might be the start of a beautiful friendship. Thank you so much, Barbara, for this input. I would never have known.